Best use of the camo trend I've seen! Beautiful shots, again that bag is gorgeous! You look very cute! 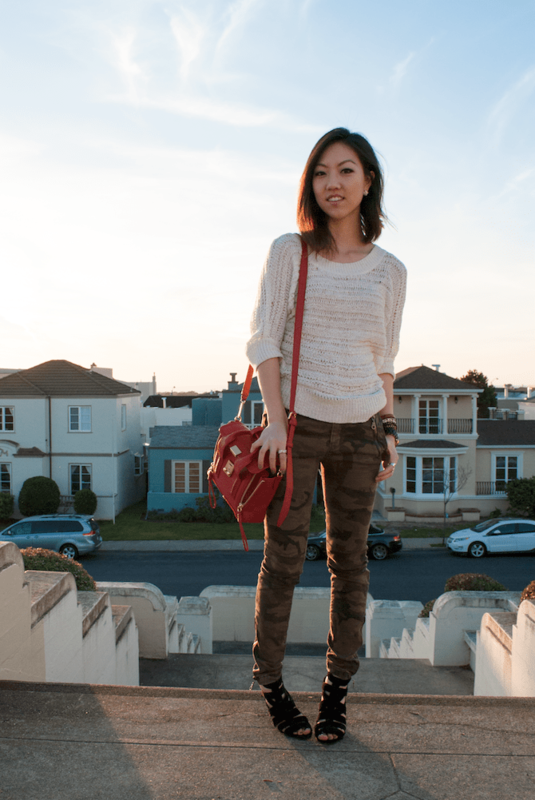 Love the red bag, camo pant combination! so pretty! love ur shoes!!! xO! you and nancy seriously pull off those pants so well!! Fabulous outfit! I love the addition of the red bag to this look. The pants have a fantastic fit, and love the red combo ! I really love the shoes and bag! This look is SO chic! i absolutely adore everything! Gorgeous outfit. The pants are amazing, I wish I could pull them off! Love your array of colors! Great outfit! Hey! nice blog 🙂 im following you now with GFC and bloglovin! Hey dear of course I'd love to follow each other! Following you now on GFC and waiting for yours! You wear that camouflage so well! Not many people can pull it off so stylishly. 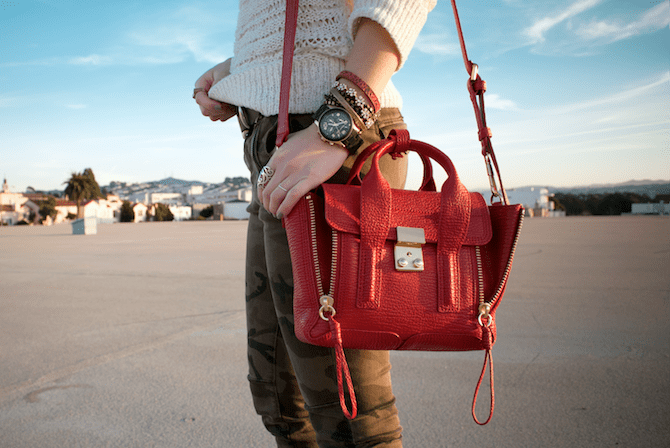 I love your red purse too – just all around fabulousness! 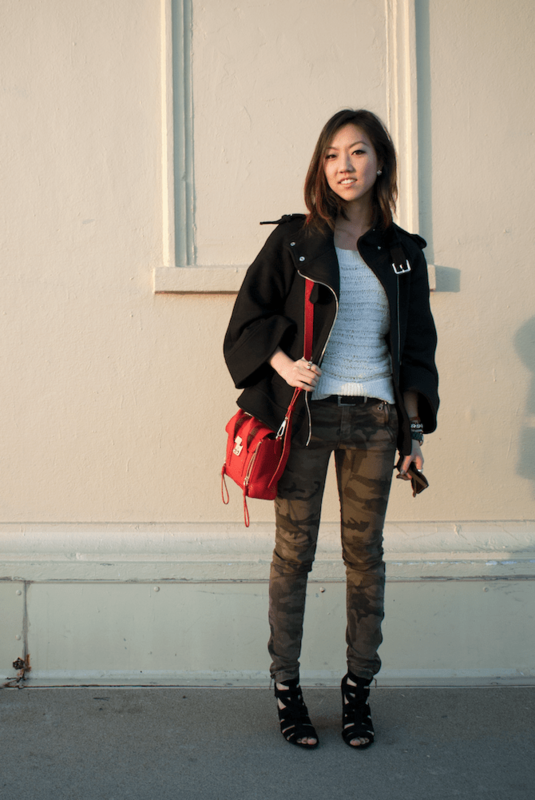 Love the camouflage pants and the striking red bag! Great outfit! I am so jealous – you live in SF! I am following you now, maybe you would like to follow me back?